Voodoo Room pay tribute to Hendrix, Clapton and Cream in The Hawth studio, Crawely, on Saturday, March 16 (7.45pm). This classic three-piece is fronted by guitar wizard Peter Orr who has been wowing rock ’n’ roll fans across the UK and Europe for three decades. 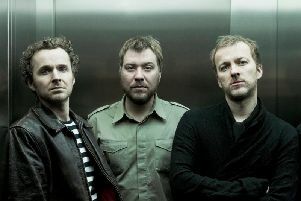 A spokesperson said: “The engine room of this power trio is the stunning rhythm section of Jevon Beaumont and John Tonks. Their superlative credentials include: Massive Attack, Duran Duran, Sting, Thunder, Bryan Adams, Fish, Stevie Winwood, Arthur Brown and more... not to mention Eric Clapton and Jack Bruce. “Together they form the mighty, retro, rocking machine that is Voodoo Room – their mission: To deliver the all time great Hendrix, Clapton and Cream numbers, with the true passion and energy worthy of these master pieces. Tickets cost £15 and are available from The Hawth Box Office on 01293 553636. Milkshake! Monkey’s Musical heads to Crawley. Click here to read more.